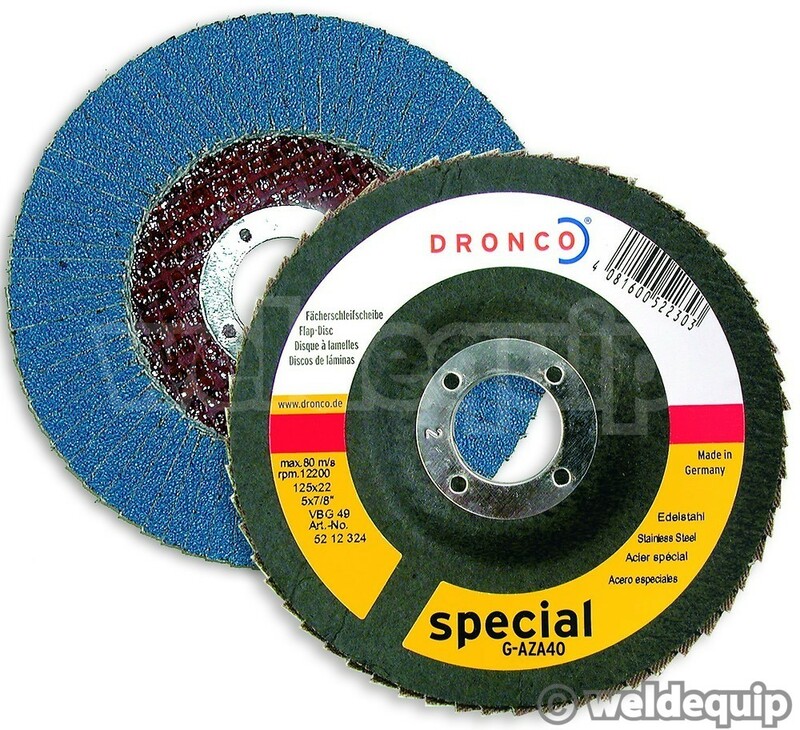 The DRONCO Special AZA Flap Disc is an excellent, all round disc for grinding & sanding of Mild Steel & Stainless Steel + Cast Iron etc. Made with Zirconium Corundum grit it has a very good removal rate & excellent lifetime. 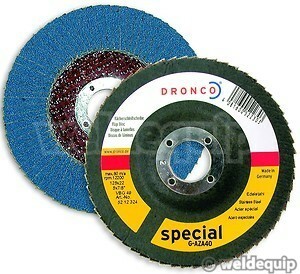 Lasting many times longer than standard, fibre sanding discs they are fibre-glass backed so there is no need for any separate backing pad, and fit any 115mm angle grinder. The 80 grit disc can be used for finishing bodywork welds and leaves a fine finish ready for painting. The coarser 60 & 40 grit discs provide a higher material removal rate and are ideal for weld finishing on general fabrication work. New Ceramic Flap discs offer a 3 times better removal rate and life then Zirconium discs.